The perfect place for people who want more out of retirement. 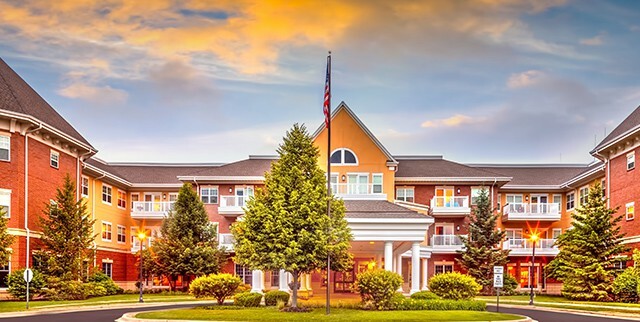 Our lively retirement community in Batavia, IL, is anything but retiring. The Holmstad is an impressive retirement community, inside and out. Nestled on 38 wooded, scenic acres in the heart of the Fox River Valley, The Holmstad is the epitome of peaceful and gracious living. Get to know our self-contained community, unparalleled services & amenities, carefree lifestyle, and lively people who live here, and you’ll discover a warm and wonderful neighborhood that’s a hub of activity! Our location is perfect, too—in the highly desirable, award-winning, historic city of Batavia, IL, a suburb of nearby Chicago and everything it has to offer. Choose your very own stunning and completely maintenance-free one-bedroom, two-bedroom, studio, or duplex home. The Holmstad retirement community offers the senior living advantages and value you won’t find elsewhere, with the confidence knowing you have access to health care for life.